This is the second version. It was produced from 1966 till 1970. The shutter is a Deckel Synchro-Compur XV/CR00 offering speeds from 1 till 1/500 second, a B setting, a selftimer and X flash-synchronisation. 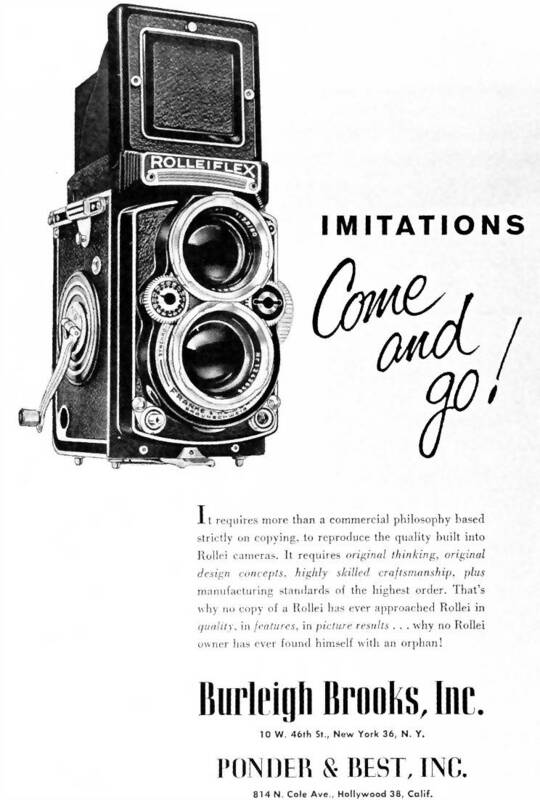 The Rolleicord Vb is the last model in a long line of Rolleicords which started in 1933 and ended in 1977 and were produced by Franke & Heidecke and later on by Rollei-Werke in Braunschweig, Germany. 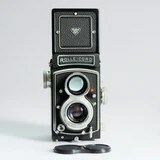 It is a medium format TLR camera that uses 120 type Rollfilm. 12 6x6cm square images can be captured for each roll of 120 film. There are 2 Mask-sets available. One set gives 16 images in size 4x4cm or 4×5.5cm. Another set gives 24 images in 28x40mm or 24x36mm. These mask-sets also contain the right film counter which is exchangeable on the Vb. 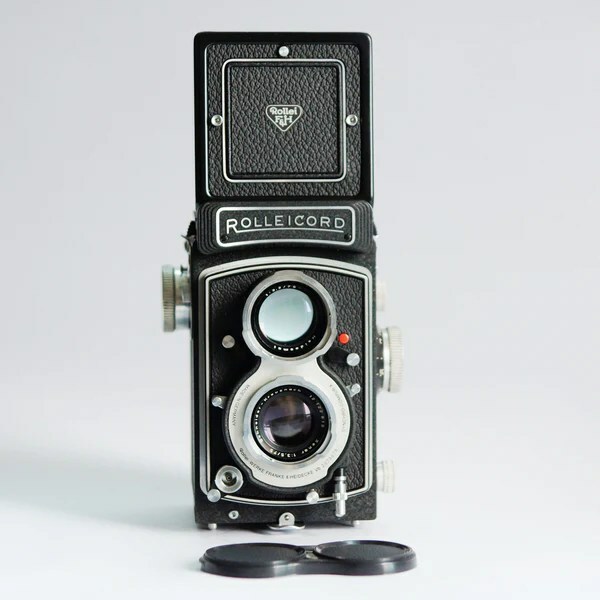 By using an optional Rolleikin adapter 135 format film cartridges can be used. A major difference with its predecessor, the Va, is that it has a removable hood and the viewer screen can be easily accessed for cleaning or swap with another type. All Vb’s were equipped with a Schneider-Kreuznach Xenar 1:3.5 75mm lens. Viewing lens is a Heidosmat 1:3.2 75mm. Before both lenses is a Bayonet mount Size 1 for filters, lens hood, etc. Free Shipping Worldwide (with tracking no). No handling fees. No hidden fees.